This Christmas, I was able to have many delicious wines. Wines. Reds. Everything in between. 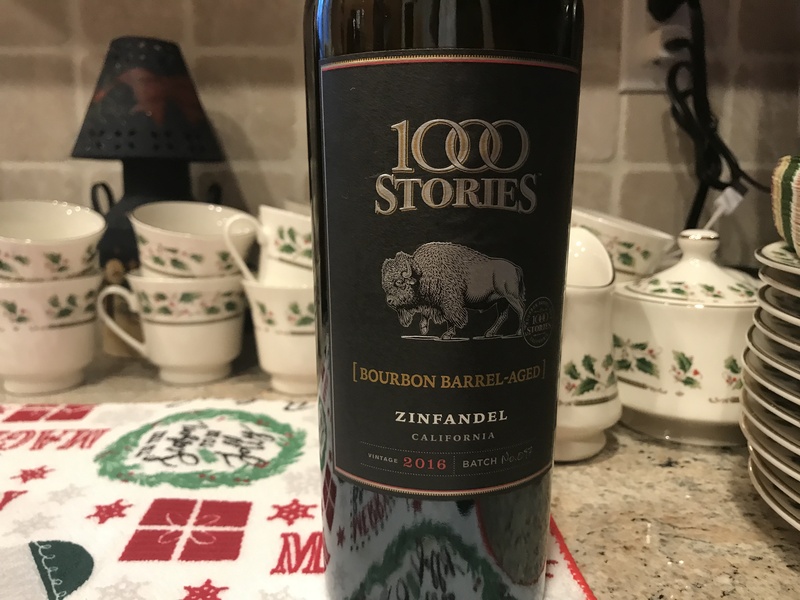 I decided to pair my Christmas Dinner with a bourbon barreled aged Zinfandel from 1000 Stories. 1000 Stories is aged in premium bourbon barrels from Kentucky and is sourced from some of the best Zinfandel-producing vineyards in Mendocino County. The flagship Zinfandel offers round tannins and opulent notes of dark fruit with attractive flavors of red licorice, brown spice and profound suggestions of black pepper. Thanks to the aging process, Bob Blue is able to create 25 batches a year of the Zinfandel, with each batch owning its own subtle flavor profile.